I have always been interested in who has lived before us in any house we have lived in - in England I would head to the local Records Office to see what I could find out but in France that is not something I have ventured to do. Calvados has an Archives Office but I've never been brave enough to head inside, fearing my French may not be good enough to understand things. Maybe one day I'll pluck up the courage. However, on two separate occasions we have been lucky enough to meet people who have previously lived at La Causserie, the official name for Eco-Gites of Lenault ... and the first of these nearly caused me to have a heart attack. It was only a few weeks after we had moved in; the weather was warm and as I stood cooking there was a knock at the open front door. A French lady, looking a bit uneasy (or so I though), popped her head through the door, said bonjour and then added what I thought was "I live here!" Well you can imagine my reaction! My immediate thought in the milliseconds that followed were that somehow we had bought a house that was not for sale and was still owned and lived in by this lady and her family who were outside. I am sure I went white and she must have seen my horror so she spoke again, this time a little more clearly and I realised what she actually has said was "I used to live here". The difference in these 2 sentences is "J'habite ici" and 'J'habitais ici" with the ais on the end of the second word adding an aye sound on the end. At that time my French was not up the subtle changes of verbs in different tenses and I only hear the work habite ici ie to live here in the present tense! 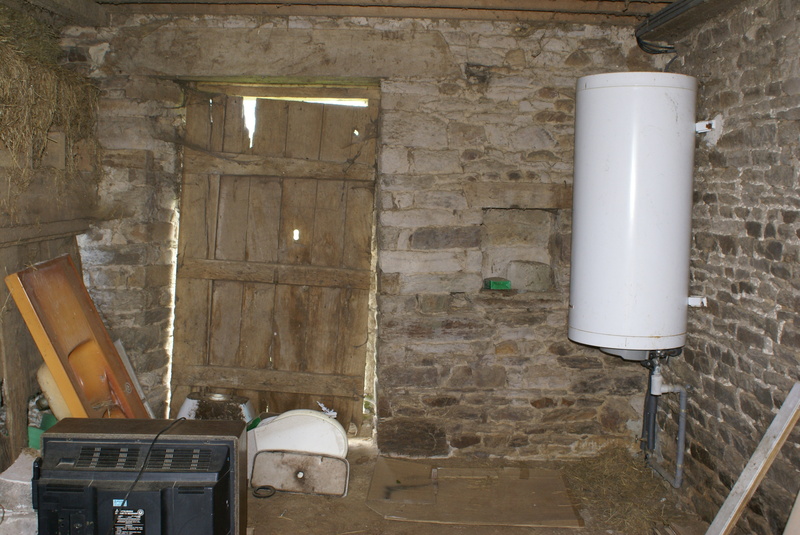 Thankfully she was able to explain in a mixture of French and a little English that she has lived there from the late seventies to the early 2000s with her family farming a bit more of surrounding land than we now own for our smallholding. They were back in Lenault visiting family and having heard that the house was lived in again after a period of being empty they had hoped we didn't mind them calling in. Not at all and in fact they visited us for several years afterwards and said the loved seeing the land being used for animals again. One story she recounted of her childhood here that made us realise how things have changed in just a few years. When she lived here there was no inside toilet and the nearest facilities were a compost toilet in the grounds of what is now the pig house. Because of the distance, the lady would keep her bike by the door and if she got caught short she would leap on and cycle to the toilet to save time! If you ever fancy taking things back to a time of no inside toilets you can as we have restored the compost toilet to working order ... you may just have to ask a pig to move out of the way first. 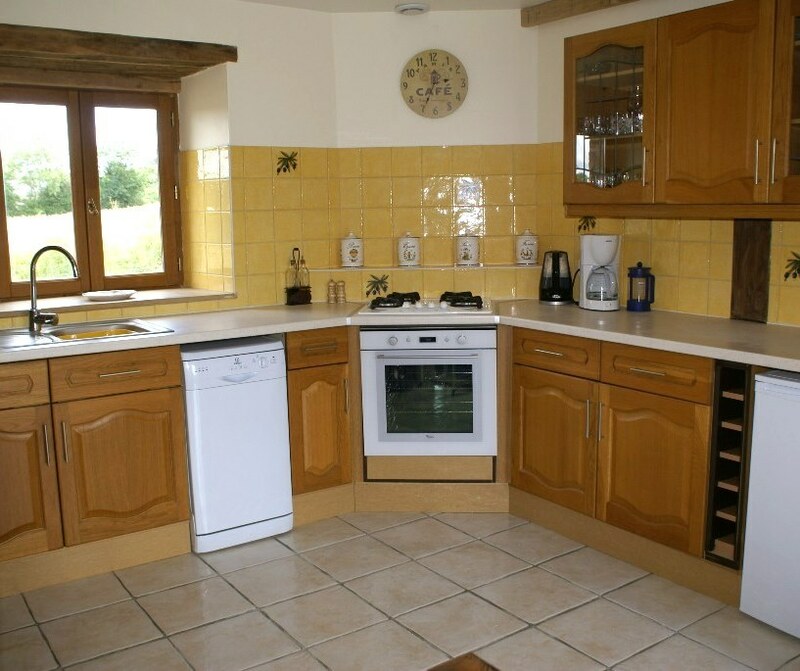 The second previous occupant was a lady who had lived at Eco-Gites of Lenault from the early 60's to late seventies. She visited us just last year so I was able to have much more of a conversation with her, i French about her time here. She explained she was one of 5 children (our house only has 3 upstairs bedrooms) but that the layout was pretty much still as it is now. 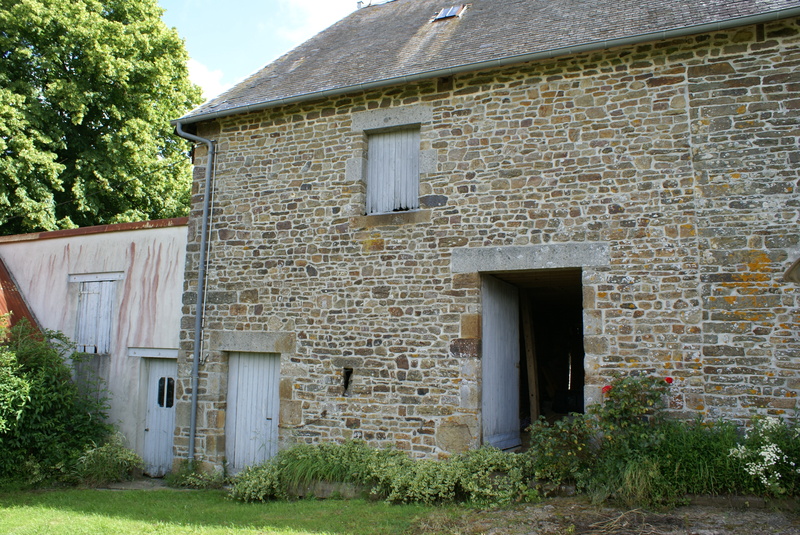 She explained that what is now the gite was used as stables for the horses they used to work the land. 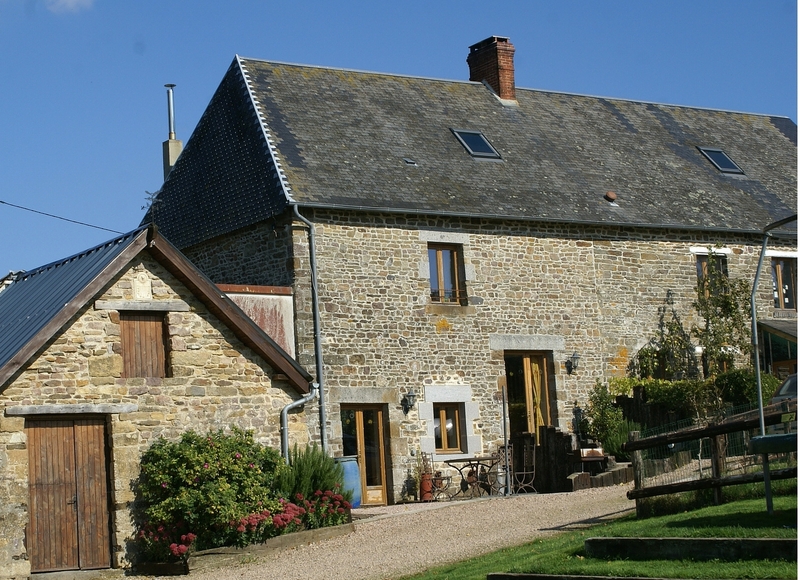 When the next family lived here they used the the gite as a dairy/cattle barn. In both cases the upstairs was used to store hay and the last of this still remained, going right up ti the eaves, when we bought the property. 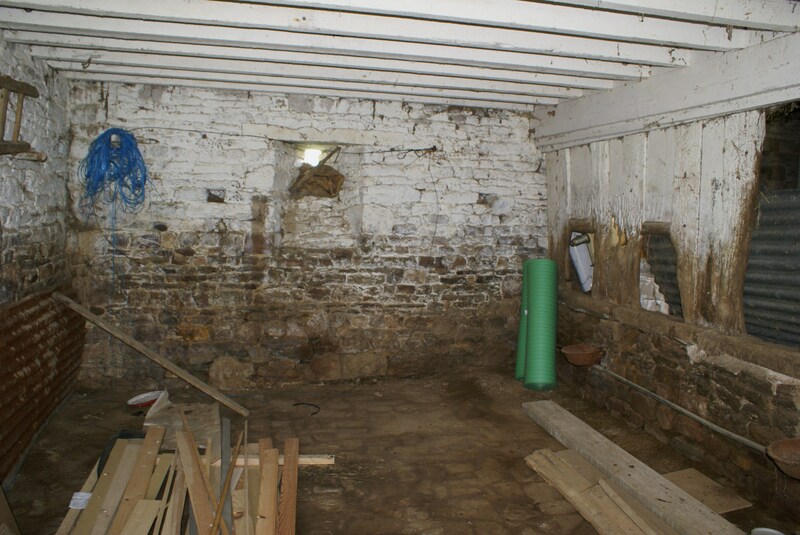 She also told us how, once a year, the would be removed, the "gite" scrubbed clean and cardboard laid on the floor so that they could have a large party with her extended family! She never thought that some 40 years later her horse barn would see many more meals eaten inside it! 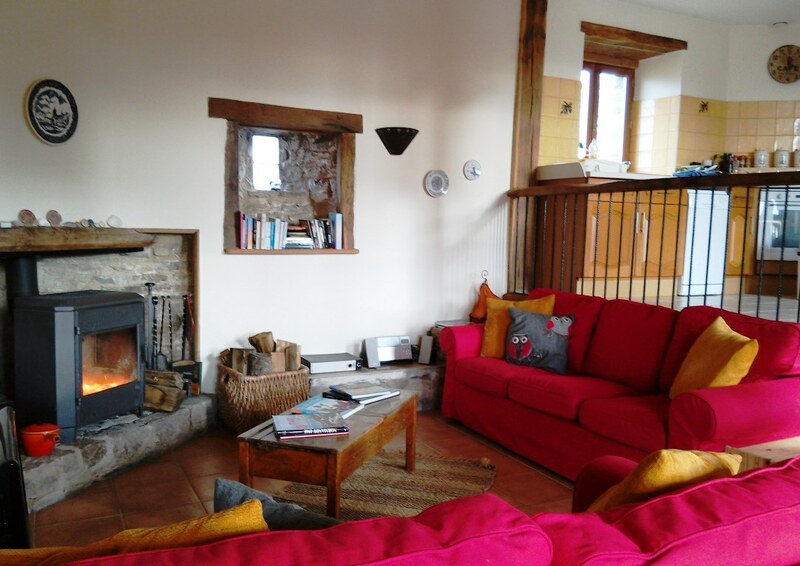 Sadly we have no photos from before our time here but I can show you some before and after photos of Eco-Gites of Lenault as seen when we first moved here and now. What do you think of the transformation?